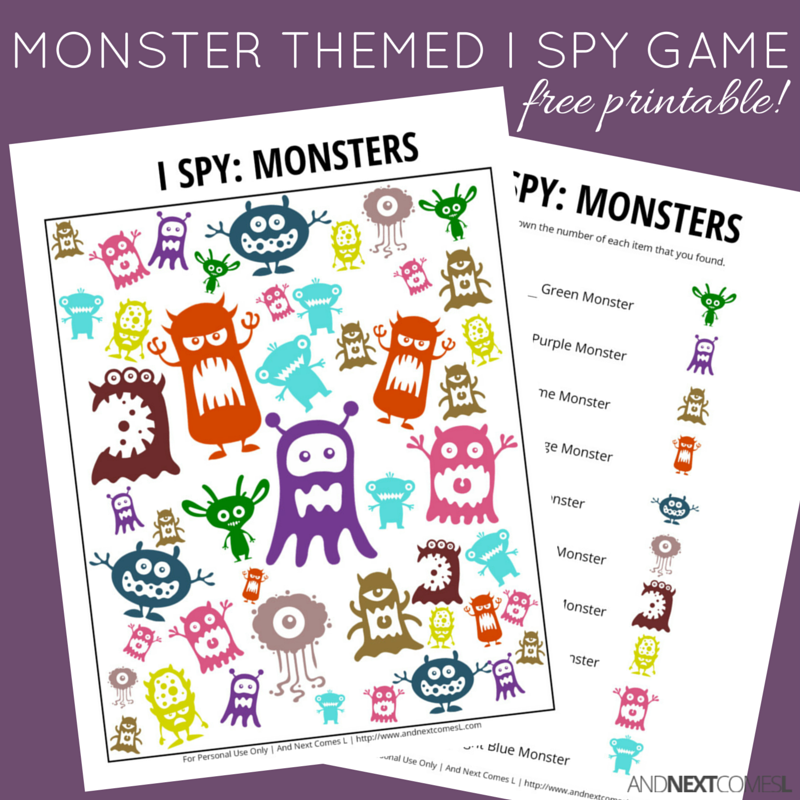 This free monster themed I spy printable for kids is a perfect way to work on a variety of skills! My boys have always liked monsters and we have done a handful of fun activities using monsters as a theme, including these DIY mix and match pool noodle creature blocks and this mix and match felt monster set. This free printable monster themed I Spy game for kids is colorful and fun. Don't worry, there's no scary monsters here! 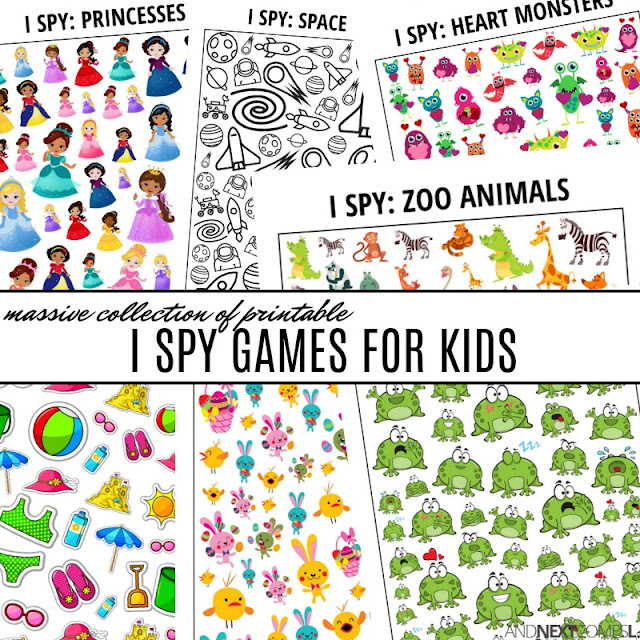 I Spy printables like this monster themed one are great for providing visual sensory input to kids, making them a great choice for visual sensory seekers. They also help develop a child's visual tracking ability and improve visual discrimination. This printable requires kids to visually scan through the objects and find ones that are the same.